If you’re ready to fuel your entrepreneurial spirit by running a gas station with a convenience store, consider these business management tips. In a growing but competitive industry, it’s more important than ever for gas station owners to stay one step ahead of the curve. These basic management tips help new business owners run a successful gas station and convenience store business. Whether it’s your first time flexing your entrepreneurial skills or you’re a seasoned (but always learning) pro, running a gas station is no easy task. But with the right know-how, operating a gas station ranks as one of the most profitable ventures in the country, according to Entrepreneur. Now that you know what to consider before buying a gas station franchise, it’s time to roll up your sleeves and get to work. For both franchise and independently owned gas stations, you’ll want to follow these best practices to build a thriving convenience store and gas station business. Sure, there are plenty of perks when it comes to being your own boss, such as the freedom and flexibility to work around your personal schedule. It can be tempting to come in late or close up shop when it’s slow. At the end of the day, though, customers need a consistent schedule if they’re going to make your gas station their first choice. Do some research about your target demographic and make note of the busiest times motorists fill their gas tank. For example, be sure to open early for the morning commute and stay open for the evening rush hour. Will your hours vary depending on the weekend or holidays? On the other hand, you might want to consider operating 24 hours year-round. Especially if the majority of your customers are driving long distances and over broader periods of time, such as semi-truck drivers. Establish your hours of operation and open promptly at the chosen time. Avoid opening late as this will deter regular customers from choosing your location. Motorists of all types look to gas stations for more than just gas. Beyond offering a place to refuel, make your gas station the ultimate on-the-go convenience destination. Operating a local convenience store in addition to your gas station can increase foot traffic and boost sales by a wide margin. In fact, nearly 160 million people visit a convenience store each day, according to the National Association of Convenience Stores. Why? Because drivers don’t mind stopping for gas if they know they can purchase must-have items that help eliminate a trip to the store and make their journey more comfortable. Cater to busy customers by offering a limited range of goods and impulse buys. Cigarettes and tobacco products, beer, non-alcoholic drinks (fountain drinks, sodas, energy drinks, water, etc.) and fresh-food items (sandwiches, nachos, hot dogs, etc.) are among the best-selling items convenience stores have to offer. Don’t forget about lottery tickets and beauty supplies, too. Once you have all the basic commodities down, remember to remove any items from your store that don’t sell well. You can do this by regularly taking inventory for both your station’s tank amounts as well as all consumer packaged goods sales. Inventory these items at the end of each shift to keep your gas station freshly stocked and your customers coming back for more. It’s often said that a customer can tell a lot about a restaurant by the state of its bathroom. Well, the same can be said for gas stations, and this rule of thumb extends beyond just the bathroom. 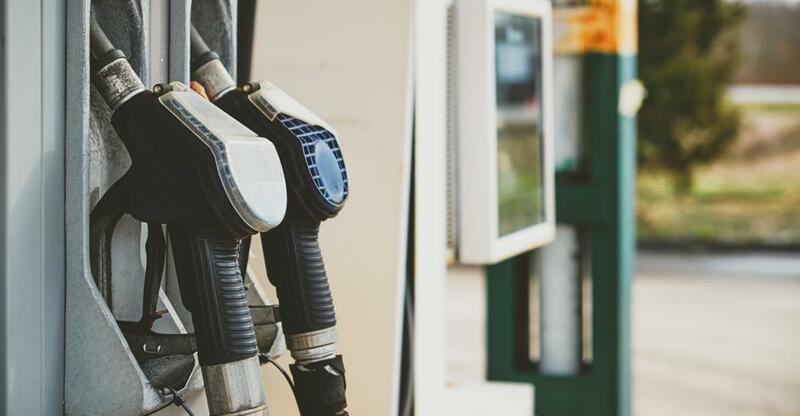 While the majority of your customers may only see the outside of your business while refueling at the pump, it’s important to keep the entire gas station – both inside and out – clean and organized to set the tone for a positive customer experience. In addition, you have a legal obligation to meet local, state and federal requirements of safety and cleanliness. To ensure your gas station is up to par, contact your local Occupational Safety & Health Administration and US Environmental Protection Agency offices in your area for compliance assistance. Beyond a lucrative business opportunity, running your own business can lend itself to external challenges beyond your control. No retail business (gas stations and convenience stores included) are exempt from theft. As such, it’s important to promote the safety of your employees and customers. Require check-out employees to keep only small amounts of cash in their registers. Should they acquire excess cash throughout the day, install a drop safe close by to allow for easy and safe deposits. Clear the drop safe at the end of each shift and include the excess cash in the dedicated bank deposit. Install shatter-proof glass, security systems and security cameras, and consider electronic door systems for 24-hour gas stations. To protect your customers’ sensitive data at the gas pump, require employees to check for credit card skimming devices at the start of each shift. Finally, don’t be afraid to learn from your competitors. What are they doing well? Where do they fall short? Use the same retail tactics you see from other stores, such as placing best-selling items on the end of the aisle display. Place impulse purchase items like candy near the register, and place your seasonal items near the front. Depending on the season, consider moving your frozen drink, hot chocolate, or coffee machines near the front door. Likewise, pay close attention to the types of promotions and discounts your competitors are using, and be sure to offer your customers something even better that they can’t resist. Laying the groundwork for a successful gas station business is only the beginning, and it may take time, patience, and lots of research before you start seeing the results you want. To learn more about the ins and outs of running a profitable, independently owned gas station or franchise, check out our latest advice for small business owners and brokers. Should you have any questions about buying, selling, or running a business, contact Businesses for Sale. Hard to sell, service stations are nevertheless a comparatively low risk investment. We spoke to Laurence Kramer of Diplomatic Business Brokers for our podcast.